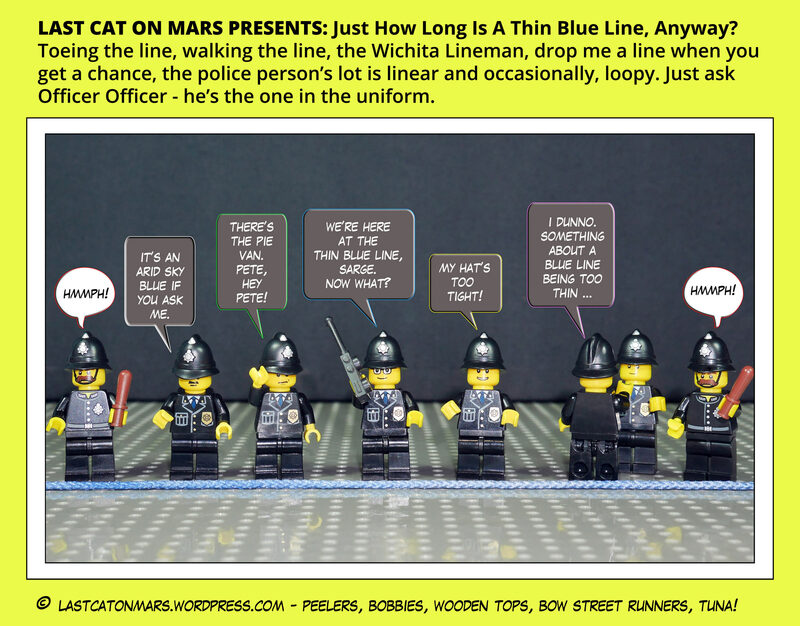 Last Cat On Mars Presents: Just How Long Is A Thin Blue Line, Anyway? There is no need at all for law enforcement on Mars, as you might expect. All residents are law- and paw-abiding, if a little skittish. And that thin line? Not that we need one, you understand. But if we had one, it would be red, Martian red, with an orange tinge for summer days. 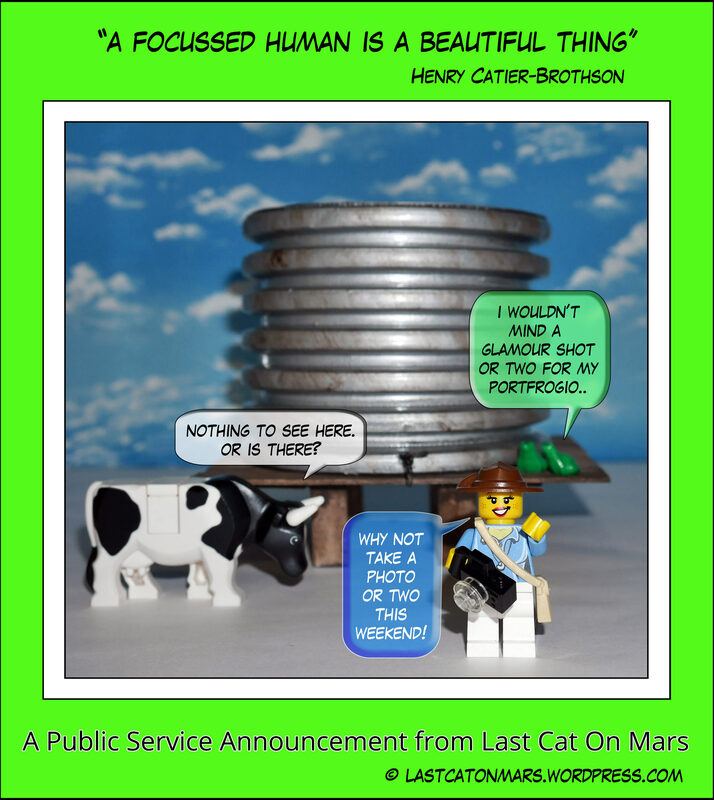 This entry was posted in Variety Show and tagged cartoon, comic, lego, minifigures, police officers, thin blue line on March 21, 2018 by Jay Verney.